A big welcome to Vashti Hardy, author of Brightstorm (my current book of the week). Recent tales of explorers that have enthralled me include The Explorer by Katherine Rundell and Shackleton’s Journey by William Grill. Brightstorm too has kept me enthralled, with its adventurous tale of twins, Maudie and Arthur. This new adventure in exploration is sumptuously imagined, gloriously told, and cunningly executed. It is, in fact, as delightful as stumbling upon a new peninsula or archipelago you didn’t know existed. 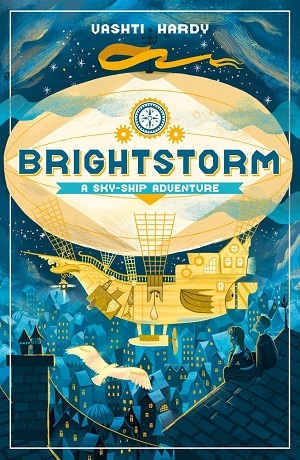 Linked to historical tales of daring and bravery, as well as twinkling with gems from stories past, Brightstorm is a wonderful new middle grade novel. Here, Vashti Hardy explores real-life inspirational adventurers. Aside from the advert Shackleton placed in a London newspaper being my initial influence for Brightstorm, the tale of the Trans-Antarctic Expedition has always held a particular fascination for me. Although it went about as far from the plan as possible, the resulting story is one of inspirational endurance and survival against the odds. One of the most interesting aspects is how Shackleton’s legendary leadership skills contributed. He had a unique warm style, built genuine friendships with the crew and displayed admiration for each member of his team, which I kept in mind when creating the crew of the Aurora. Although this expedition failed to reach the destination, it achieved many fantastic firsts and feats and I think it’s a great lesson in how much can be learned and achieved even through failure. Earhart’s autonomous driven spirit was an inspiration for sky-ship aviator Harriet Culpepper – you may spot glimpses of Amelia in Harriet’s short, wind-swept hair and I hope in her persistent and intrepid personality! Amelia Earhart accomplished many firsts and record-breaking feats in aviation and inspired a generation of female aviators, but also had a wide reach in inspiring females to achieve whatever they wanted. I wanted to create a host of clever and resourceful females in Brightstorm for young girls and boys to look up to, and Amelia Earhart helped me form them. Something of Edmund Hillary’s modest outlook, coupled with his obvious enjoyment of tackling great feats and dangers, is hugely inspiring. He regarded himself as an ordinary person with ordinary qualities and therefore adventuring was for anyone, just like him. I like to think there is a little of this in Arthur Brightstorm – an ordinary boy from no great lineage of explorer family going out there and giving it his all. Edmund Hillary took pleasure in the intense effort required to achieve extraordinary things, and had a great attitude, valuing comradeship and shared exploits in the company of peers (which is what a great crew is all about!). In 1888, journalist Nelly Bly suggested to her editor at the New York World that she take a trip around the world, attempting to turn Phileas Fogg’s fictional journey in Around the World in Eighty Days into fact for the first time. On approaching her editor, he told her that it was impossible for her to do it because she was a woman and would need a protector and she would need to carry so much baggage that it would impede rapid changes. He told her that only a man could do it. Nelly replied with the quote above, and consequently the newspaper went on to commission her trip. She set off with the dress she was wearing, a sturdy overcoat, changes of underwear, a small travel bag with toiletry essentials, and a purse of money around her neck. She broke the preceding record and the fictional one too and made the journey in just 72 days. Nelly Bly’s gutsy attitude makes me smile and I think something of her certainly found its way into Felicity Wiggety! If you’re writing and stuck for character, try thinking about figures from history who inspire you – what role might they fill in a story? With huge thanks to Vashti for her guest blog. 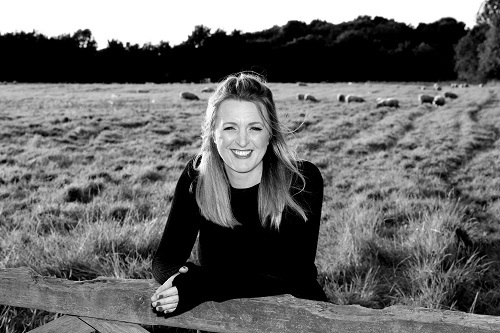 Vashti Hardy lives near Brighton and was a primary school teacher before moving into digital marketing. She is an alumni member and buddy at the Golden Egg Academy. Brightstorm is her debut novel published by Scholastic. You can buy it here.